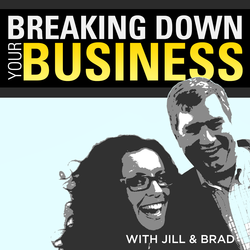 Thanks for being a guest on Breaking Down Your Business with Jill and Brad. Please choose your time zone, and then click on a time to schedule your interview. After you click on a time, please provide us with some basic contact info about yourself.